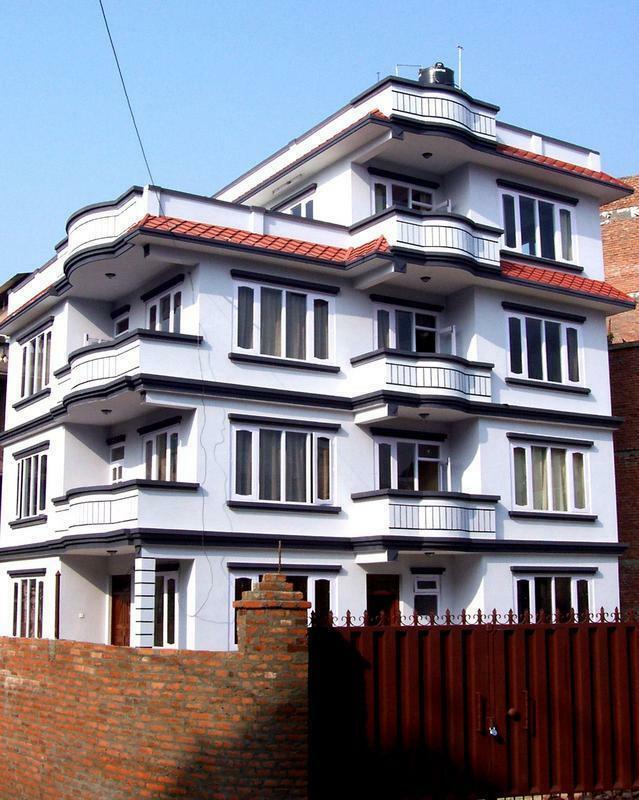 The BaseCamp Nepal in Kathmandu is located in the Naya Bazaar district, just a few minute walk from the popular backpacker district of Thamel. 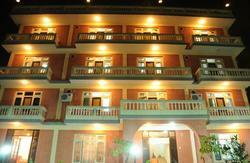 BaseCamp Kathamndu is a beautiful 4 story building, with 9 rooms and a capacity of 36 guests. Each level has 4 balconies, plus the hostel has two roof top patios. The second and third floor of the hostel each have a spacious common area, with the kitchen and large dining room on the fourth floor. A fire pit and plenty of seating make the roof top patio a favorite gathering spot. Great for viewing the rising or setting sun, planning your next adventure, or relaxing with a cup of chiyaa. Back on the ground, there is an organic community garden in our courtyard in which interested guests are always welcome to help tend. Wireless internet access is available throughout the house, making it easy to stay in touch with friends and family back home. BaseCamp Nepal has a full time kitchen that can provide three meals per day. The Hostel menu consists of local dishes, and can be modified to make accommodations for any allergy or food restrictions(with advance notice). In addition to the delicious meals prepared and eaten at BaseCamp, you can also arrange to have a packed lunch provided, to take with you on that days excursion. The meal plan can be purchased in any combination, from a single meal to a complete meal plan. You can make your meal plan arrangements in advance at the time you book your accommodation, or you can plan to wait until your arrival to join the meal plan. The meal plan is posted weekly so you always know what is for breakfast lunch and dinner. If you are staying at the BaseCamp hostel and you did not select a meal plan, you can always choose to join in on any meal, provided you give the kitchen enough notice (four to six hours is requested). 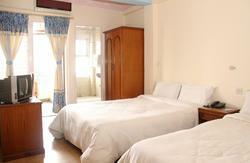 Our hostel in Kathmandu is more than just a place to eat and sleep while you explore Nepal. Wireless internet access and a guest computer make staying in touch with friends and family easy. A laundry service is available for those in need of clean clothes, and lock boxes are provided for valuables. Looking for adventure? Take your pick from a variety of unique experiences. Visit the worlds highest mountain or trek through the worlds deepest gorge. Take an elephant tour through the Chitwan jungle or challenge the rapids of the mighty Bhote Kosi River. Looking for something less active but no less interesting? Visit Swayambunath 'Monkey Temple' located high on a hill in Kathmandu. Visit and learn about the river of the dead at Pashupatinath, or get out of the city and visit the Unesco World Heritage city of Bhaktapur. 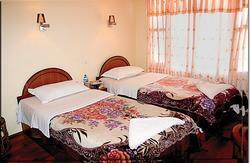 Whatever your adventure, our staff at BaseCamp Kathmandu can assist you with any arrangements. With our mix of guests, local friends and staff, BaseCamp Nepal has an atmosphere that is more like a homestay than a hostel. Guests are always welcome to join any of the activities or events hosted by BaseCamp, and we pride ourselves on our community based environment that is open and friendly. BaseCamp Nepal. Come be a part of the experience. From Airport get a cab to Sorakhuttay in Kathmandu, it might cost US$10 -15 Day fare and Night fare double. Bargain if require. As you come to Sorakhuttay, tell driver to go to link road at Kaldhara chowk, which is second right turn, and come straight you will see small junction and take right and go straight, and again within 30meters another intersection will come again go straight and again after there is not crowded intersection will come again come straight and within 10 meters you will see black Iron gate on right hand side with banana trees. That is Base Camp Nepal.